Great attractions and great accommodations equals a great experience. 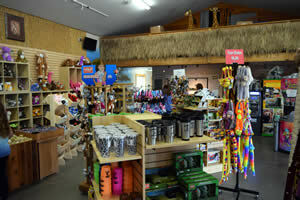 For the safety of our animals and guests, there is ABSOLUTELY NO PETS ALLOWED IN THE ZOO. Certified service dogs are welcome, but some restrictions apply. 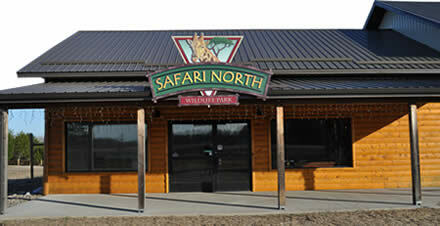 We have a modern mens and womens restroom facility located in the main Safari Lodge which is located at the main gate. Notice: For the health of the animals, please do not bring carry-ins, they are not allowed. Thank you. 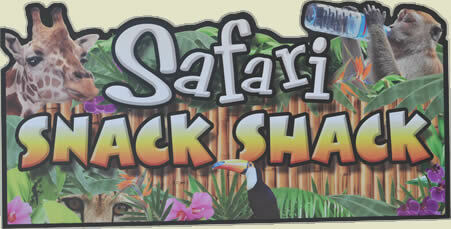 Their is always plenty to do at Safari North and if you should get hungry or thirsty just stop by the Safari Snack Shack and enjoy a ice cold drink, or a quick snack under the picnic shelter and out of the sun! Notice: For the health of the animals, please do not bring carry-ins, they are not allowed. Thank you. 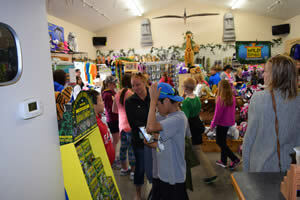 Our gift shop is inside the main Safari Lodge. So on your way out don't forget to pick up a souvenir! 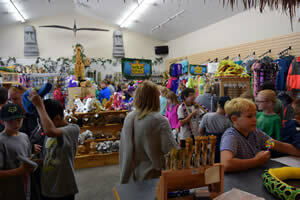 With hundreds of items to choose from, everything from tee shirts, jackets, caps, or your favorite plush animal to remember your visit with us! You will find exactly what you need here!